"Honesty, integrity and responsiveness." These are the words we live by when serving our clients. 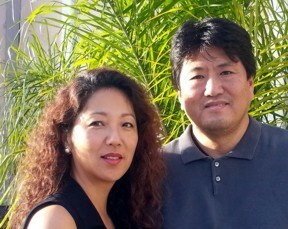 We are a husband and wife team with United Realty Group, serving Los Angeles and Orange counties. Our primary focus is the complete satisfaction of our clients from beginning to end and even beyond. Our team will take care of each and every detail of your real estate transaction. Whether it is to find your dream home, find investment properties and tenants, or sell your home, we will assist you every step of the way. We also focus on education and conduct a "First Time Buyer" seminar to give our clients a better understanding of buying and owning real estate. PRE-QUALIFICATION PROCESS: The start of your property search will be the pre-qualification process with a mortgage broker to determine your borrowing power for your mortgage and to check your credit report/score. We can introduce you to mortgage brokers we work with if necessary. Your credit score will determine the interest rate of your mortgage--the higher the credit score, the lower the mortgage interest rate. You may want to repair your credit report to improve your score and to reduce your monthly payment. SET UP AUTO E-MAIL: Based on your search parameters, we will setup an Auto E-Mail where you will receive daily information on new properties coming on the market or changes to existing listings. The Auto E-Mail will contain the most detailed information about the property, easy to view property photos, an interactive map view, and property list management features. VIEW PROPERTIES: We will take you to see the properties that interest you and point out features both positive and negative about the properties. Before you make an offer, you will know about visible defects of the property and an assessment of solutions available. COMPARATIVE MARKET ANALYSIS: Is this the right price for this house? We can assist you with this question by conducting a Comparative Market Analysis (CMA). We can compare similar houses that were recently sold in the vicinity to look at the fair market value in the area based on county tax records. LISTING YOUR HOME: We will make recommendations for repairs and touch-ups that can be done to raise the value of your home. We will market your home through multiple outlets and negotiate the best price possible. ESCROW AND CLOSING: The escrow process can be confusing and overwhelming with stacks of documents to go through, inspection, repair requests, termite, appraisal and financing. Of course, we will guide and help you during every step. AFTER SERVICE: Even after closing, our clients feel free and comfortable to ask us about anything that may come up. We are always here to help.